Deteriorated pituitary function can lead to serious complications that might need lifelong hormone replacement therapy. However, long-term hormone administration can have significant adverse effects. Thus, it would be more desirable to restore pituitary function by pituitary transplantation. 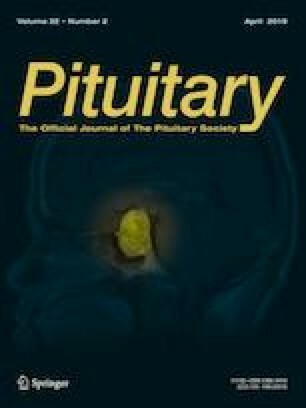 In this study, we investigated functional preservation of extracted pituitary gland in special preservation solution under hypothermic condition for pituitary transplantation. We obtained nineteen pituitary glands from 250–300 g male Sprague–Dawley rats via parapharyngeal approach. These extracted glands were divided into three pieces and stored in histidine-tryptophan-ketoglutarate (HTK) solution at 4 °C and compared to their corresponding glands stored in phosphate buffer saline (PBS). Light and electron microscopic examinations were performed to identify morphological changes of pituitary gland at 0,3, and 7 days after storage. TUNEL assay to confirm cell viability, and adenosine-triphosphate (ATP) concentration were also serially examined. Tissue architecture and cellular viability of specimens preserved in HTK solution for 3 days were considerably maintained and similar to those in normal pituitary gland (0 day specimen). In contrast, specimens stored in PBS were markedly destroyed after 3 days of storage. After 7 days of storage, significant degeneration occurred in tissues stored in both HTK and PBS. However, tissue architecture was preserved more in specimens stored in HTK solution than those stored in PBS. ATP concentration decreased more rapidly in specimens stored in PBS solution, but there was no statistical significance (p= 0.055). Extracted rat pituitary gland supplemented with special preservation solution could be preserved for 3 days under hypothermic condition. The online version of this article ( https://doi.org/10.1007/s11102-019-00959-7) contains supplementary material, which is available to authorized users. Sin Soo Jeun and Seung Ho Yang have contributed equally to this work. This research was supported by Basic Science Research Program through the National Research Foundation of Korea (NRF) funded by the Ministry of Education, Science and Technology (2016R1D1A1A02937141). All procedures performed in studies involving animals were in accordance with the ethical standard of Institutional Animal Care and Use Committees (IACUC) of the Catholic University of Korea (SVH IRB 17-5).